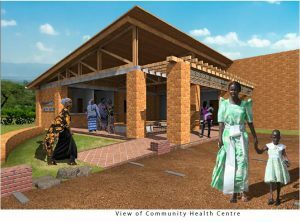 The Community Centre will house a much needed Health Clinic providing ongoing healthcare for the whole community, which they currently do not have. The Centre will also serve to bring all our activities and expanding projects together in one central location and provide accommodation for visiting healthcare workers and volunteers. We recently organised a mobile medical clinic at Butansi Nursery School, where many of the kiddies were found to have malaria, mumps and nasty fungal infections! They were all tested, immunised and treated on the spot. 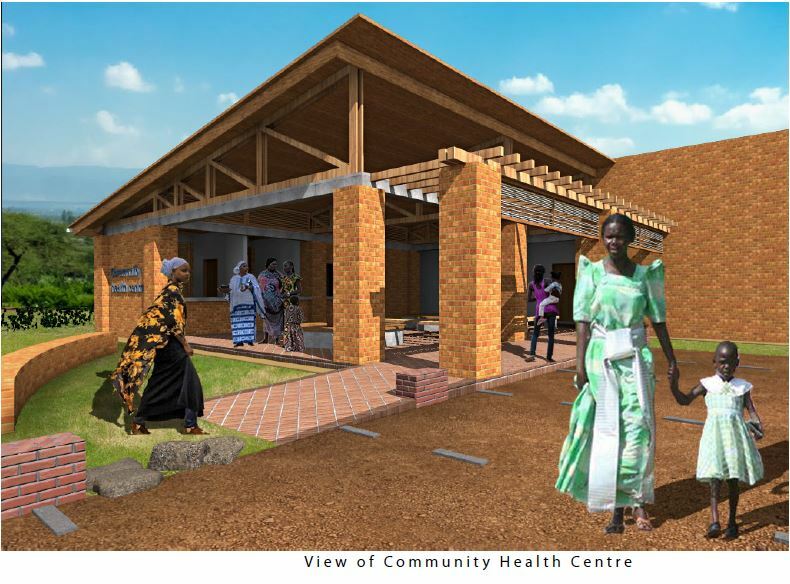 The Centre will allow us to deliver proper, ongoing healthcare and infection control. 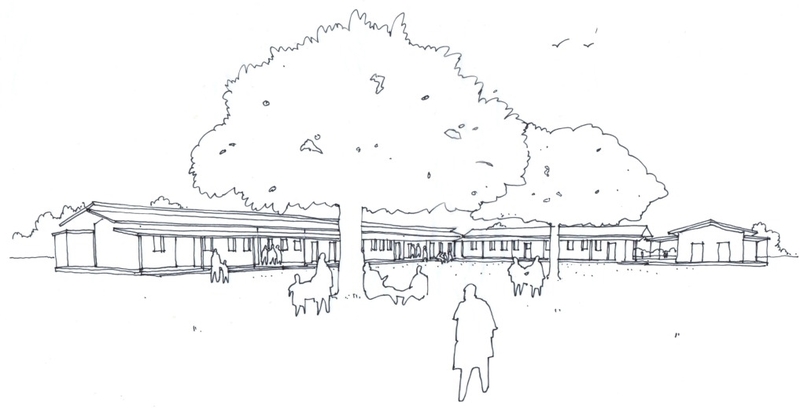 We are delighted to report that we have received a significant grant from the TMAD Trust which will go towards the building of our clinic in the first phase of this project. This UK based Trust aims to fight HIV and AIDS one stage at a time. The Centre will also provide a social hub for the community, student support and computer facilities, youth services, adult education classes, a meeting place for our women’s self-help micro finance groups and the surrounding land will provide produce and a training ground for our agricultural development programme. We need your help to raise a further £50,000 to make this whole project a reality! A 3 acre site close to St Mary’s church in Butansi has been donated to us by the Busoga Diocese. We had a special Land Demarcation Ceremony there, where Annette signed the necessary papers. We are now in the final throes of getting the land title finalised, so that the land is legally ours. We have surveyed the land and are establishing partnerships for taking the project forward. We have prepared a budget from central and local expertise… and so we are ready to go. In 2019 we hope to commence a 3-phase building programme, focussing on delivering the services the community needs most in Phase 1. Clearing the site and putting in the infrastructure – water borehole, sewerage, power & cooking facilities. Land will also have been cleared for our crops & livestock programme. Temporary housing for construction experts, instructors and support teams – before being converted for permanent use by visiting health workers, volunteers, etc. 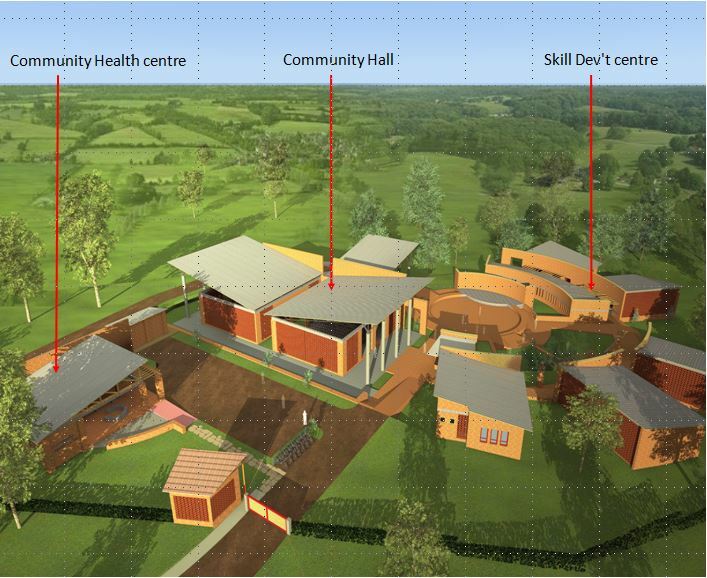 Construction of the medical centre, office, kitchen and initial multi-purpose meeting and classrooms. Visiting clinic services; eg. specialists, dental, physio, etc.